This article was provided by The Scout Guide. 1. Pile on the velvet pillows. Is there a fabric more perfect for winter than velvet? We think not. 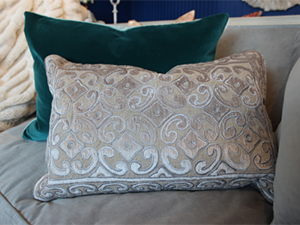 Now is the time to accessorize with plenty of velvet pillows- preferably in warm, rich colors.